Linda Sarsour, the Palestinian-American activist and newest darling of the feminist movement, is scheduled to speak in April at an event with a Palestinian woman who was convicted of terrorism in a 1969 bombing in Israel. Sarsour, the head of the Arab American Association of New York, will appear alongside Rasmea Odeh at an event in Chicago hosted by the Jewish Voice for Peace, a left-wing group that focuses on the Israeli-Palestinian conflict. Sarsour was one of the organizers of last month’s Women’s March, and Odeh recently signed on as an organizer for a worldwide women’s strike next month. An alleged former member of the Popular Front for the Liberation of Palestine (PFLP), a designated terrorist group, Odeh was convicted in Israel in 1970 of taking part in two bombings the year before. One bombing, at a Jerusalem supermarket, killed two Israeli students and injured nine others. She was also convicted for her role in a bombing of the British consulate. She was freed from an Israeli prison in 1980 as part of a prisoner exchange and emigrated to the U.S. in the 1990s. Odeh has recanted her confession to Israeli authorities that she took part in the bombings, saying that it was procured through tortured and sexual assault by Israeli military police. Odeh, who currently works for the Arab American Action Network in Chicago, became a naturalized U.S. citizen in 2004. But she was arrested in 2013 on immigration fraud charges and convicted in federal court a year later. She failed to disclose on her visa application that she was jailed in Israel and that she was linked to a terrorist group. She likely would not have been allowed into the U.S. if she had disclosed that information. Odeh was sentenced to 18 months in prison, stripped of U.S. citizenship and ordered deported from the U.S. She remains in the U.S. pending appeal. Her case has become a rallying cry for many left-wing, pro-Palestinian activists. Sarsour and Jewish Voice for Peace (JVP) have defended Odeh. But William Jacobson, a law professor at Cornell University and the publisher of the blog Legal Insurrection, has researched Odeh’s cases and finds her defenses in both to be lacking. He also tells The Daily Caller that Sarsour’s appearance with the convicted terrorist tarnishes the credibility of the activist, who is a frequent guest on liberal TV networks like MSNBC. Jacobson has reported evidence that Odeh was directly involved in the bombing, despite her denials. He has also noted a 2004 interview in which one of Odeh’s co-conspirators said that Odeh was the mastermind of the bombing. Jacobson has also written that Odeh’s claims about not receiving a fair trial are false. He has reported that Odeh’s trial was overseen by the International Red Cross and deemed to be fair. Jacobson criticized JVP and Sarsour for working with Odeh. 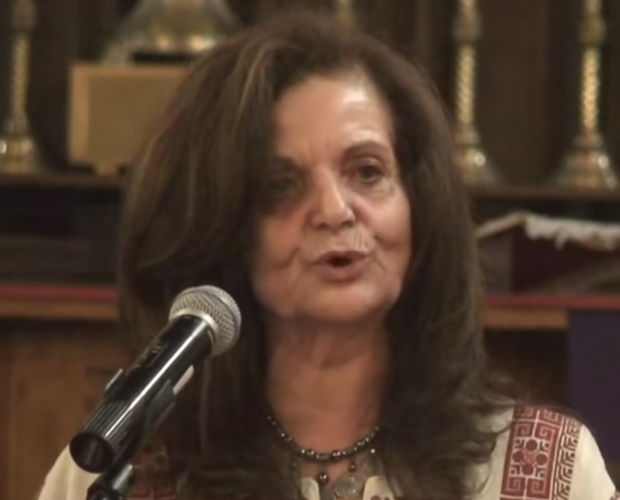 “Anti-Israel activists, including Jewish Voice for Peace, have long sought to elevate Rasmea Odeh to iconic stature based on a false narrative as to her background,” Jacobson told The Daily Caller through email. This is not Sarsour’s only affiliation with known or accused terrorists. As The Daily Caller reported last month, Sarsour posed alongside an alleged former Hamas financier at the Muslim American Society-Islamic Circle of North America conference in Chicago in December. An FBI document from Nov. 2001 states that Salah Sarsour’s brother, Jamil, told Israeli authorities in 1998 that he and Salah funded the terrorist group Hamas through the Holy Land Foundation, a Texas-based non-profit. Jamil Sarsour, who spent four years in an Israeli prison for his Hamas-related activities, said that he and his brother funneled money to a Hamas militant named Adel Awadallah through a furniture store they owned in Milwaukee. Awadallah and his brother were killed by Israeli security forces in 1998. Salah Sarsour met Awadallah during his prison stint. It is unclear whether Linda and Salah Sarsour are related. But Linda Sarsour she has acknowledged in past interviews that she has family members who are serving prison sentences in Israel for their work for Hamas. She has claimed that she does not approve of Hamas’ violence.